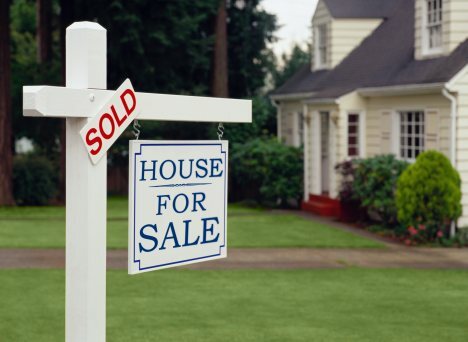 LONG VALLEY, N.J. – The National Association of Realtors last week said that the number of existing homes sold across the country was down in March, but the numbers for the first calendar quarter were the best in several years. Announcement about pending home sales – homes that went into contract and will close later – are to be announced Thursday. National numbers tell you nothing about what’s going on locally. You need a Realtor who is familiar with the neighborhoods you’re interested in. It really doesn’t matter how well the market is doing in Timbuktu if you’re interested a specific neighborhood in Chester, Mendham, Mount Olive, Long Valley or somewhere else in this area. More sold signs are popping up. Speaking of those towns and our area, the market is warming up to be a great spring. That doesn’t mean the market has changed, but we’re definitely seeing signs that this is the best market we’ve seen in a long time, and if you need to buy or sell a home, well, you know the rest of the line: It’s a good time to do it. Recent reports say that the number of homes that went into contract in March in the Chesters (two in the Borough, nine in the Township), the Mendhams (14) , Mount Olive (21) and Long Valley (19 for Washington Township) were the highest number of pending home sales since the beginning of the year. In fact, acrossMorrisCounty, 502 homes went into contract in March, the highest since the year began. Last year, only 383 homes were sold in March acrossMorrisCounty, so it’s an increase since last year, also. LONG VALLEY, N.J.– The volume of existing home sales in Northwest New Jerseyhas been “tremendous” during the last month, according to Kelly Holmquist, a prominent Realtor in the area. Ms. Holmquist, who leads The Holmquist Team, part of Keller-Williams Towne Square Realty, made her remarks as the National Association of Realtors announces its monthly report on existing home sales. That report says that home sales fell slightly nationally, but that sales for the first three months of the year were better than the same period last year. Saying there is no national real estate market, Ms. Holmquist said real estate is very local. While she did not disclose specific numbers, Ms. Holmquist said sales in the northwestMorrisCountyarea have been very strong during March and April, with homes selling in a week our two and sellers receiving multiple offers. While prices may slip a little more, she anticipates that interest rates will begin to rise soon. The rising rates will erase any price decreases. That, of course, is not the best news for home sellers. “The good news is that there are buyers, so if you need to move, you can sell your home,” said Ms Holmquist. While she sees the current conditions as excellent, she’s not ready to declare the market changed. That, she says, can only be determined by looking back at six months worth of market statistics. While she’s hoping current conditions become a trend, she’s concerned that the spring selling season could slow down because it started so early. She notes, however, that in most towns in her area, homes are being sold very quickly. That keeps the inventory fairly low. The brisk activity is a bit of a game changer for those buying or selling homes, says Ms. Holmquist. Sellers also need to compete knowledgeably. Ms. Holmquist is the team leader for The Holmquist Team, part of Keller Williams Towne Square Realty, and one of the top-producing real estate teams in Morris County, N.J. She has been in real estate since 1997, specializing in residential home sales. After working at other agencies, she founded The Holmquist Team in 2008. A Certified Residential Specialist (CRS), she holds a bachelor of science fromPennStateUniversity. More information is at http://www.kellysellshouses.com or by calling (908) 867-7109. So…what are you seeing in your neighborhood? More “For Sale” signs? More “Sold” signs?